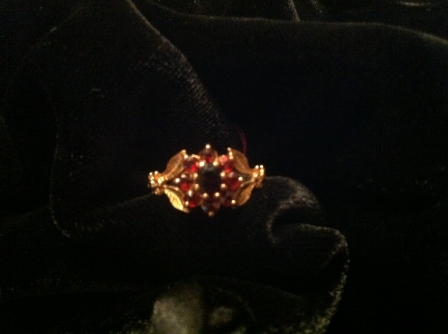 This is a sweet antique ring made of small garnets and 9k gold. 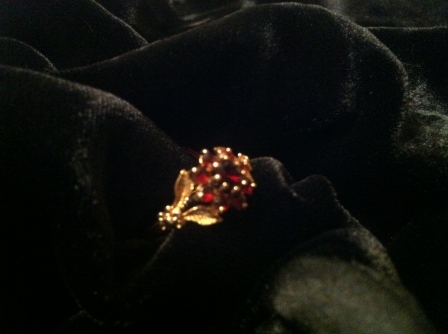 The garnets are in the shape of a flower and set with gold leaves on both sides. Very pretty!